Confession time: I love sweats. 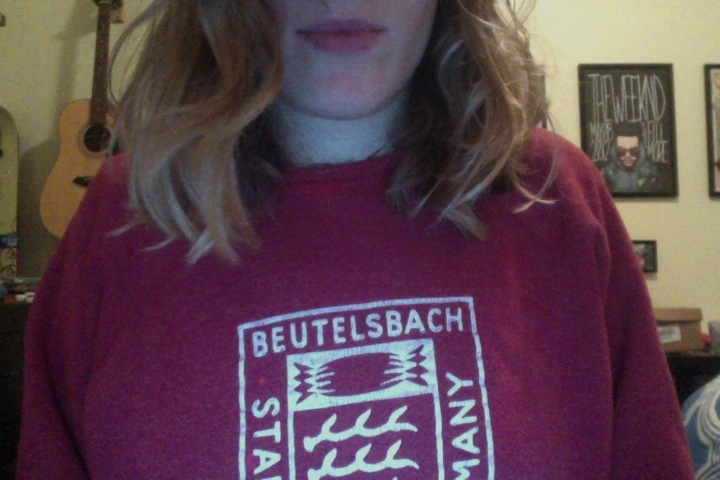 Right now, typing this sentence, I’m wearing my uncle’s 45-year-old Stanford in Germany crewneck sweatshirt (covered in holes), my mom’s 35-year-old University of Delaware t-shirt (also covered in holes), and J Crew’s amazing sweatpant-legging hybrid the Saturday pant (bought on sale). No, I probably wouldn’t wear this outfit much farther than my corner taqueria, but when I’m home from work after a long day, it’s exactly what I want. So why am I qualified to write about fashion? Because I’m a big nerd. I view high fashion as a sport. There are two primary seasons – Spring/Summer and Fall/Winter. Each season, designers’ reputations and profits rise and fall on the strength of their collections. There are powerhouses who are strong every season; Lanvin comes to mind. And then there are the underdogs who can’t quite pull it off (Chloe). There’s the overhyped (Alexander Wang) and the underappreciated (Haider Ackermann). Like all sports teams, they are represented by genetic freaks who are paid to maintain a certain (unfortunately restrictive) physique. They are all trying to answer one question: how does the modern women dress? That question fascinates me. Fashion is much clearer in hindsight. Decades are defined by trends that reflect the consciousness of the world. Think of the last 50 years. We can clearly distinguish between the clothes of the 60s, 70s, 80s, and 90s. But the 00s are much harder to pinpoint, though it’s gotten easier with two years of distance. What’s a lot harder is recognizing and understanding the trends going on right now.